The spirit of Christmas is contagious and overwhelming in this charming and unpredictable holiday tale. Orphaned at thirteen, the poorly paid, patched-clothed cowhand Stubby Pringle is now nearing twenty as he looks forward to whooping it up at the schoolhouse in the valley for the Christmas dance. His box of chocolates is tucked into his saddlebag for the gal who “appeals to him most and seems most susceptible.” But this Christmas Eve Stubby finds that the magic of the season may have something different in store for him. 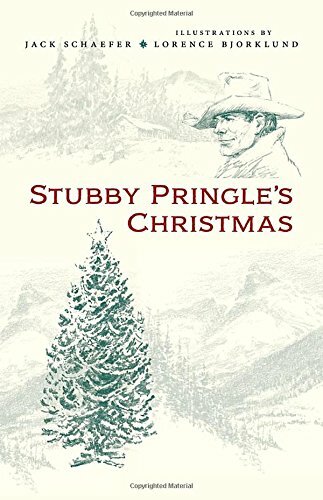 In true Schaefer fashion, Stubby Pringle delights readers and fills our hearts with the magic and spirit of Christmas.